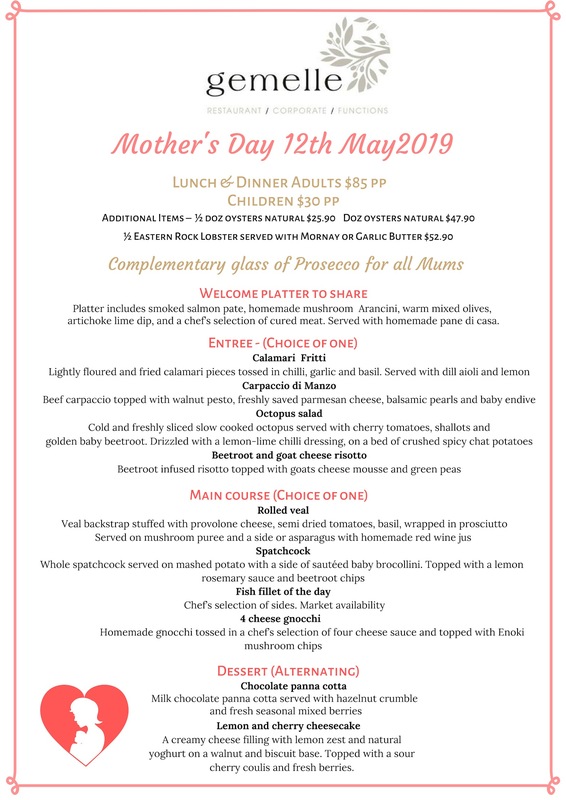 Mum is always taking care of us, so why not take care of Mum and treat her to a 4 course menu on Mother’s Day. Call or email us to book now! !